SHOSHONE, ID- Effective August 8, public land managers in southwest and central Idaho will put Stage 1 Fire Restrictions in place. Continuing hot, dry conditions and very high fire danger has prompted officials with the Sawtooth National Forest, Bureau of Land Management Twin Falls District and the State of Idaho to go into restrictions in areas of Twin Falls, Cassia, Camas, Blaine, and parts of Custer counties. 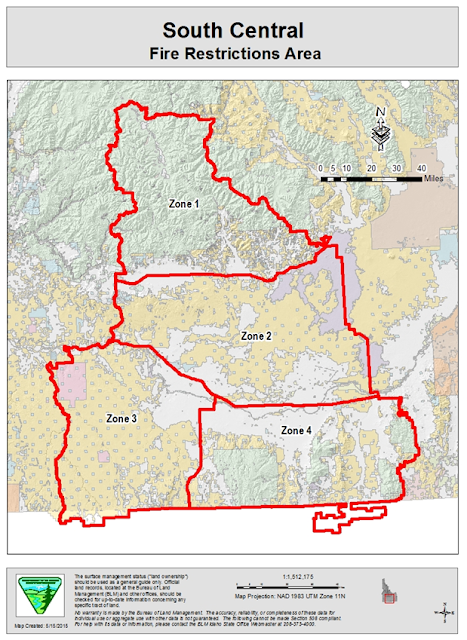 A map showing where restrictions are in effect is available at www.idahofireinfo.com . Stage I restrictions prohibit fires, campfires or camp stoves in areas other than designated recreation sites with approved fire structures. Stage I also prohibits smoking in open areas except when stopped in sites that are free of flammable materials with a radius of at least three feet of barren soil or in developed recreation sites. Restrictions are in effect until further notice. With the fire season well underway, the placement of these restrictions is intended to keep visitors to public lands safe as well as prevent the catastrophic effects of wildland fire. If you are planning a visit to public lands in these areas, please check with the Sawtooth Ranger District offices Sawtooth National Forest.com, the BLM Twin Falls District BLM or the Idaho Department of Lands for the latest information. 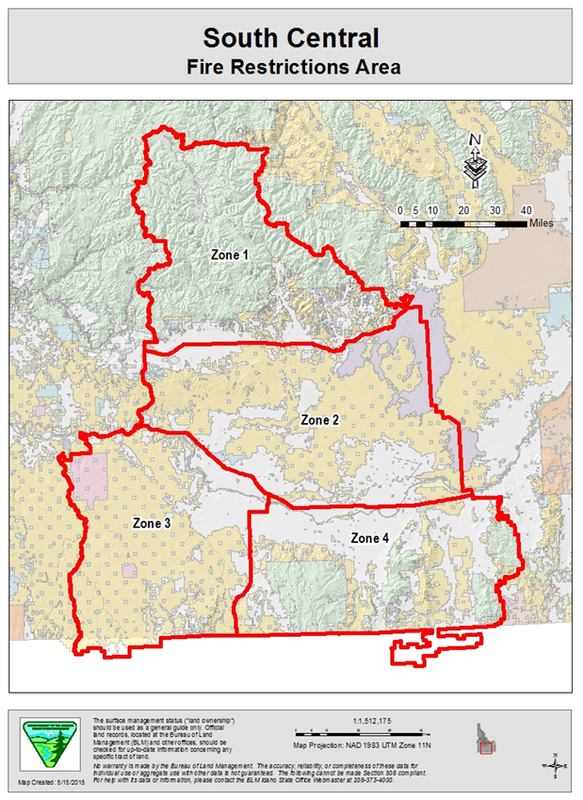 Zone 1- This includes the area north of Highway 20 into the Stanley Basin; east of Highway 26 and west of Hill City.